Jennifer Nayar is Vela’s CEO, joining in June 2015. Based in the firm’s New York headquarters, Jen is responsible for all aspects of Vela’s business globally. Jen has been successfully leading and driving the growth of market data businesses since 2007, when she served as the Global Head of Market Data Products and Business Operations for the New York Stock Exchange. She’s also held senior management positions at REDI Global Technologies, NYFIX, Omgeo, Mercator Software and the London Stock Exchange. Jen was named 2018 Woman of the Year by Markets Media. She was voted CEO of the Year by Markets Media in the 2017 Markets Choice Awards as well as the 2017 Women in Finance Markets Choice Awards. In 2016, Jen was the recipient of Markets Media's Markets Choice Women in Finance Award for Excellence in Trading Technology. She was also included in Institutional Investor’s 2018, 2017 and 2016 Trading Technology 40, a ranking of the 40 most influential individuals in the trading technology space. In 2014, Jen was honored by Traders Magazine with its Women on Wall Street award for her excellence in leadership. Jen was appointed to the Board of Directors of the Security Traders Association of New York (STANY) in August 2017. She is also a member of the advisory board of the Women in Finance Awards by Markets Media. Scott Visconti is Vela’s CTO, focusing on technology strategy, supporting growth, and the next stage of development of Vela’s product stack, services, and processes. Prior to Vela, Scott co-founded MarketOpen, a startup data analytics platform providing ongoing trading surveillance in stocks, exchange-traded funds, equity options, futures and crypto assets for investor relations and market professionals. During his tenure at ICE/NYSE, he was Vice President and Head of NYSE Group Technology, where he managed Development, Quality Assurance, Project Management Office, Capacity Management and IT Compliance functions. Scott has also held senior roles at firms including BNP Paribas, Credit Suisse and S&P Comstock. Scott holds a Master of Science in Electrical Engineering from Polytechnic University and a Bachelor of Engineering from Manhattan College. 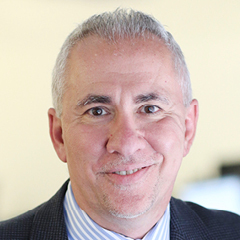 Keith Cacciola is Vela’s Chief Customer Officer. In this role, he oversees a team of account executives responsible for protecting and growing Vela’s existing global client base. Keith joined Vela in 2015. Prior to Vela, Keith was Director of Account Management at Coleman Research, where he was responsible for overseeing a team of account executives and a book of business consisting of top tier hedge funds, mutual funds, private equity firms and consulting. Previous to Coleman, Keith was Vice President of Millennium at ConvergEx Group. In this role, he focused on supporting Millennium’s sell-side client base. Keith was also Vice President of Millennium at NYFIX, where he held roles in brokerage operations, trade support, account management and sales. Keith is a graduate of Bates College, where he earned a Bachelor’s degree in History. 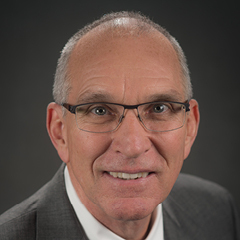 Terry Gray is CFO at Vela and has over 25 years of financial and operational experience in the technology sector. 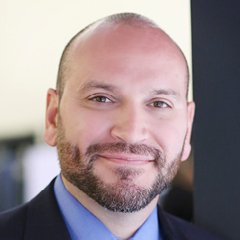 Prior to Vela, he was CFO of OptionsCity Software and has been involved in public offerings, startup operations, and system implementations. Terry was Chief Financial Officer for Logical Information Machines (LIM), a provider of software and informational services to the financial and energy trading market, which he helped successfully sell Morningstar. Previous senior financial management positions include time with Gemma International, an ERP software company and System Software Associates where he helped lead the company’s initial public offering. Terry is a Certified Public Accountant and his work experience also includes seven years of public accounting with Price Waterhouse. Peggy Sullivan is Vela’s Chief of Staff. Among her key responsibilities include establishing strong strategic partnerships, advising on market structure challenges and developments, building trusted relationships with key accounts, identifying opportunities to improve service delivery, and collaborating with the wider executive team on strategy and product innovation while also representing Vela across a number of industry groups and trade associations. Ollie Cadman is Global Head of Product Management and Business Operations, responsible for providing leadership support and guidance to the European teams. His broad remit includes spearheading integration efforts from the OptionsCity and Object Trading acquisitions in Europe. Prior to his current role, Ollie was Head of Product and Strategy, EMEA, responsible for driving product development, strategy, and roadmap priorities at Vela. His role also included identifying new market, partnership, and product opportunities through ongoing engagements with the firm’s global client base. Ollie joined Vela from Intercontinental Exchange (previously Interactive Data) and has a proven track record in global rollout and development of a wide range of products and services. He has an extensive background in electronic trading, exchange connectivity, and real-time data. Combined with his strong analytical skills, he has an ability to adapt to market challenges and optimize new business opportunities. 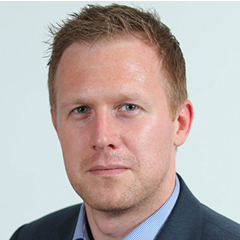 Ollie has held senior roles at Citihub Consulting, JP Morgan, and the London Stock Exchange. Ollie holds a BSc in Computer Science from the University of Hertfordshire. Tracy Rosensteel is Head of Sales for North America. 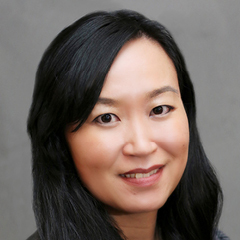 Based in New York, she brings extensive experience in helping Capital Markets firms use data, connectivity services, and managed solutions to support their strategic business goals. Prior to Vela, Tracy was Global Head of Capital Markets and Emerging Technology at Telstra, building on her expertise as a Sales Specialist in Emerging Technologies and Financial Services. 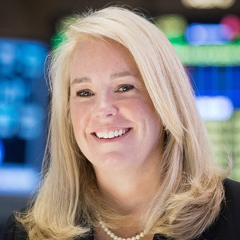 Following her time at BT and IPC, Tracy founded Vega Consulting, a unified technologies consulting firm specializing in project management, engineering, and training for integrated voice, data, and security platforms for trading floors, hedge funds, investment banks, and financial services firms. 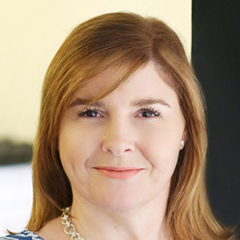 After 10 years with Vega, Tracy returned to British Telecom, a Vega client, to become Complex Voice Technologies Account Director for its Financial Services Vertical. Tracy also writes, illustrates, and publishes children’s books; serves as Creator, Executive Producer, Director, and Host of an award-winning international travel television show, In Pursuit of Passion Television; and is a Board Member of The Renaissance Foundation, which supports educational, health, and wellness initiatives for underprivileged children. Tracy holds a BA in Entrepreneurship from the University of St. Thomas in St. Paul, MN. 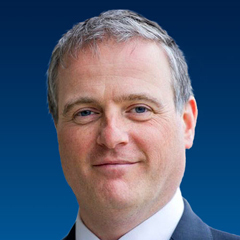 Rob Lane is Head of Sales for EMEA and APAC. Based in London, he joined the firm in 2015, bringing extensive knowledge of electronic trading, real-time services and managed solutions following a nearly 20-year stint at Interactive Data. Most recently he served as VP & General Manager, Real Time feeds & 7ticks EMEA, where he was responsible for growing and maintaining the Trading Solutions businesses in EMEA. Prior to that Rob held a variety of increasingly senior sales, marketing and product roles across both Europe and Asia-Pacific. Gerry is Global Head of Platform as a Service (PaaS). Prior to Vela acquiring Object Trading, Gerry was COO and an Executive Director of Object Trading. Based in the UK, Gerry joined the company in 2008 and was responsible for global customer-facing operations, including service delivery and account management. As a Board member, Gerry applied his expertise of sell-side technology and technical planning process to the business. Prior to Object Trading, Gerry spent most of his career in sell-side investment banks working on trading floor infrastructure before moving to electronic trading in the mid 90’s and then on to front-office ecommerce management. In the process, Gerry has worked on several high profile projects including the first electronic FX Options brokerage, the launch of the largest FX Cash trading platform as well as the implementation and running of one the largest global Listed Derivatives trading platforms. 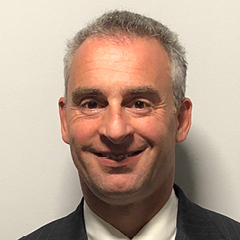 Brendan O'Sullivan is responsible for running Vela’s Managed Services team globally, which spans Belfast, New York and Manila, as well as leading the firm’s complex solutions team. Brendan joined Vela through its acquisition of NYSE Technologies’ Wombat business, where he worked since 2007. 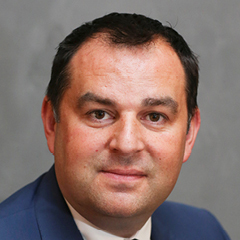 During his time as Head of Managed Services at Wombat, Brendan was instrumental in growing the managed service offering globally and building a follow-the-sun support model. Following the acquisition of Wombat, Brendan was appointed Managing Director of the Managed Services division at NYSE Technologies. 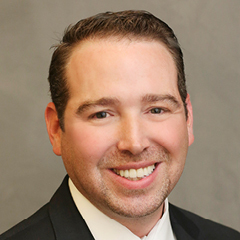 Early in his career Brendan spent four years at Access Securities, managing the firm’s IT operations. Brendan is a graduate of Fordham University, where he earned a Bachelor's degree in Computer Science. Rob Hanley is Vela’s Global Head of Project Management and Delivery. In this role he is responsible for managing the firm’s delivery of products to clients. Rob joined Vela in 2015, bringing over 20 years of experience in engineering, software development and technology, with more than ten of them spent in the financial services industry. He joined Vela in 2015 after working in the product delivery organization at REDI Global Technologies. Prior to REDI he served as the platform lead for NYSE Technologies’ market data products and services group, and before that spent time working in senior product and technology roles at Merrill Lynch and AIG. Rob holds a BS in industrial engineering. Tenisha Benoit is Vela’s Global Head of Human Resources. Based in the firm’s New York headquarters, she is responsible for a broad range of duties in the areas of HRM, employee relations, recruiting and compliance. 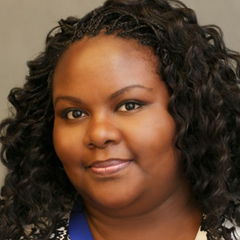 Tenisha joined Vela in 2015 from REDI Global Technologies, where she served in a similar capacity, and prior to that worked in various human resources roles at New York Life, Maximus and Cyprexx Services. She began her career working in human services as a case manager. Tenisha earned a Master of Arts, Human Resources Management from Webster University, and a BA, Sociology from The City College of New York. She is a member of the Society of Human Resources Management (SHRM). Wendy Chan is Global Head of Marketing at Vela. In this role, Wendy is responsible for communicating the business objectives to the global markets through a variety of marketing programs and activities, including the new corporate branding and messaging launched in June 2016. Prior to joining Vela as a marketing consultant in April of 2016, Wendy held roles at SunGard, where she supported marketing for the post-trade derivatives and securities as well as corporate actions processing businesses following the acquisition of XcitekSolutionsPlus (XSP). At XSP, Wendy was Senior Director, Chief Marketing Officer & New York Office Manager, responsible for running all marketing and communications efforts to support its growing domestic and international corporate actions processing business. Wendy also held marketing roles at Interactive Data, Merrill Lynch and Muller Data. Wendy is a member of the Women’s Bond Club and holds a BBA in Marketing from Bernard M. Baruch College.